For a long time we could have been stating Gaza is world’s largest open air prison. A concentrationcamp. Besieged by land, air and the sea. Unilateral limited further and further every day. Shrinking the space and air it breaths. And even that has become a danger. We can no longer talk about a concentrationcamp if we talk about Gaza. 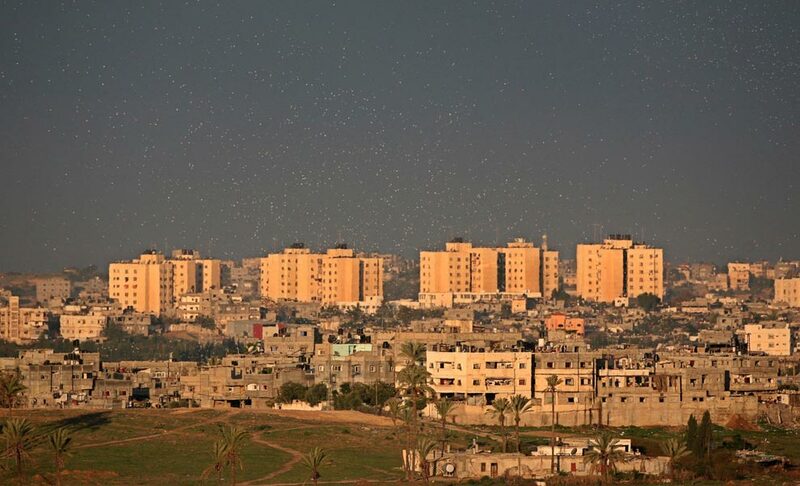 Gaza where 1.7 million people are living caged, controlled beyond even their basic needs. Imposed by a blockade and every day awakening in a battle and insecurity not even knowing, what will be next. What will be, the new ways not in which to survive, but the news ways of occupation which it has invented to overcome as well. Gaza has become an extermination camp. One difference with the Holocaust is Palestinians in Gaza do not get looted before they get killed like in Auschwitz. But this, is merely because there is nothing left to rob but lives. Lives, taken every day in targeted killings, extrajudicial executions by F16’s, navy ships, tanks and even with remote control like it would be some kind of a game. No eye to eye contact like in the Holocaust, the last blink in the eye of the lined up soldiers, ready to shoot the Jews lined up in a row. Shortly before they had to turn their face to the wall. Yet there is no time left anymore to turn your face in Gaza where even walls are made to fall down to kill. On your child in it’s bed. Children, which are called human shields by Israeli occupation. As an excuse to justify there were slained civilians and children, babies and even the unborn. With the excuse “We did send you a leaflet…” , “We told you to go…” Where do you go when you are sealed in the chains, suffocated by a siege, limited by the bullets of snipers if you even get close. There is no safe place in Gaza. Warsaw Ghetto, commemorated every year. As well as it’s 83,000 Jewish victims who died of starvation and disease. Where widespread smuggling of food and medicines into the ghetto supplemented the miserable official allotments and kept the death rate from increasing still further. And even little weapons where smuggled in. For self-defense. 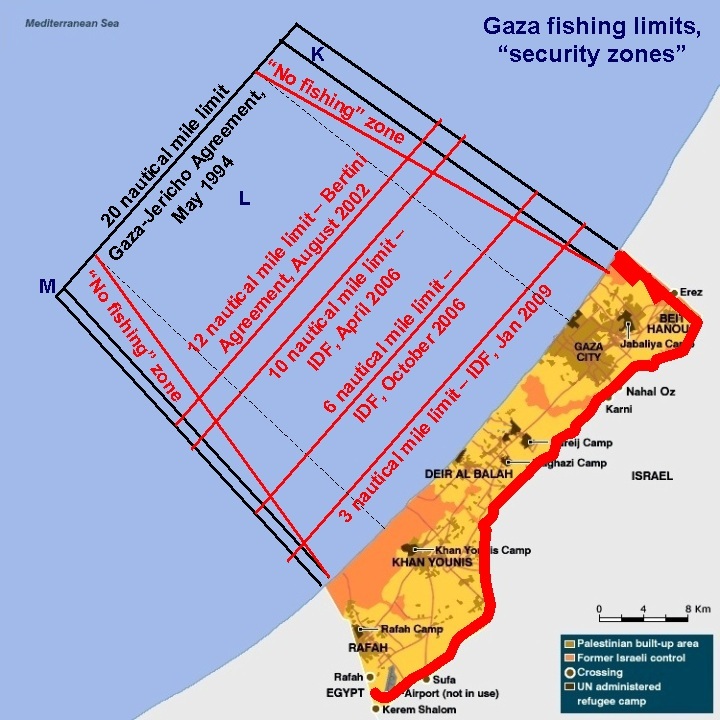 But Gaza not seems to have the rights for it’s defense in it’s annihilation camp. Silenced and bombed even smugglers and their goods are targets like never before. Not only bullets, bombs or shells do kill. “Israel” learned from it’s experience with nazi extermination tactics and only improved those to a level which would make any nazy shine of pride. The new weapon of mass destruction for which the seeds were planted by Nazi Germany: Deprivation have even been lifted up to a level on which Nazis would not only be proud by they would have been jealous. Deprivation. The same deliberate deprivation which caused 1 in 6 Jewish people to die during World War II is now silently agreed by this world on imposed on the people of Gaza. “Israel”, became exactly that and worse than those it feared and hated once themselves. Deliberate deprivation is the largest genocide by Israel so far after over 77 violent aggressive massacres. Genocide in a passive way which would not be noticed so fast. A silent murderer which has caused over 0,5 million Palestinians to die so far of which 0,3 million aged under 5. Deliberate deprivation knows no truce even if there has ever been one, nor during a one day holding cease-fire. Excess death also knows as avoidable mortality kills on like a clock which is ticking away the time, Israel’s deprivation of basic needs is ticking away Gaza’s lives. Gaza where the water has been made unfit for consumption. (6) Where dams are opened by the occupier to flood people even out of their homes and empties it’s own sewerage on Gaza’s lands . Where 95% of the drinking water is causing waterborne diseases. Where you baby get’s the blue baby syndrome from drinking it’s bottle of milk. If not that way, probably your mother’s breasts will feed you depleted uranium remnants left behind. Mothers, trying to feed their children who more often already are born with birthdefects due to the imposed pollution and poisoning. Gaza where the food entering is measured by the calories. (7) “Generously” Israeli media dishes you the news of the day how many trucks entered the besieged strip. They forgot to send you the “leaflet” about the starvation policies for which it even went to Supreme Court to prevent them from leaking out. So you won’t know every single soul in Gaza get’s the calories to barely survive. Not enough to die of starvation but slowly reduce your health, immune system combined with a wide scala of numerous measurements to cause your death or at least create sickness the slow way. So it won’t be obvious you we’re killed by deprivation. So your name won’t show up on the bodycount. Maybe, maybe if you are lucky, you will be one of the numbers in future statistics. In which numbers and figures are compared to demographical similar circumstances and other statistical data. But hence, even if you do, there is no comparision possible to the reality which is those of Palestinians living in Gaza. Gaza, where if you do get ill by all these external influences imposed unvoluntarily on your life, your body, that of your child, your mother, father or your brothers or sister, becomes another new mean of annihilation. You didn’t receive the ‘leaflet’ with the announcement of the new Treblinka. (8) Palestinians, being forced to collaborate with their enemy, their assassing to receive medical health, or if not, restricted by not receiving a permit to obtain likewhise somewhere else. Encaged and deprived. A stamp on your application you did not comply. Your death sentence on a form. An unseen and silenced battle against a crime of war. An ignored and appalling reality which is going on every day. Murdering people by depriving the means to keep them alive. Killing people not directly, not even remote, but just deliberate deprive them of a 12$ dialysis filter and cause their own bodies to poison themselves. Or because of a lacking syringe of no 60 cents. That is how much a life became worth in Gaza. Gaza, where stranded International physicians Like Dr. Mads Gilbert (13) in the war kissed the head of a new martyred child. Without power, without means but foremost without a “leaflet” with a prescription for this world to take care. Gaza, where your father will be suffocating because the power went down and his life sustaining breathing machine or your baby’s incubator halts to function. 18 hours a day no power not even to sustain that which is already in danger. For a power plant does not function without the blocked fuel it needs, to light up the houses, to warm or cool the rooms, but also to sustain those who are suffering to make them suffer even more. Not only them but imagine it’s you. And imagine, how your loved ones push manual air if necessary 24 hours a day into your lungs. To keep you alive because they do not want to loose you. What are they going through. You missed that ‘leaflet’ from Gaza too? Gaza, where waterpumps are halted by lack of power. Not only stopping all to take a shower but reducing the most basic need and human right of all: water. The most important substance to survive. Slowly but steady, occupation stealing 85% of possible resource of water or at least if it is no well to bomb or pond to poison, your smuggled bottles of water do get bombed in the tunnels of Gaza along to those risking their lives to get them in get killed in the same effort. 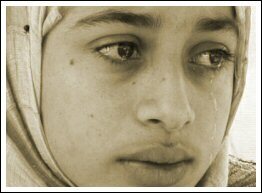 Don’t tell me “never again” nor “Wir haben es nicht gewusst”. Czerniaków wrote in his diary entry for May 8, 1941 regarding the situation in the ghetto of Warsaw: “Children starving to death.” Even if you did not get the ‘leaflet’ from Gaza, 1.7 million people are starving, made sick, assassinated, polluted, extreminated by all means possible and even those you would not imagine at all. While the drones replaced the birds, you missed the flyer and the cry of the children of Gaza. When all drown in darkness again and a brother even starts writing a letter to his Unborn Children (14) the propaganda make the buzz louder than all drones and all birds in this world which made your deaf for the silence. A silence without prejudices nor lies in which you would be able to hear the devastating wheeping of the hearts. 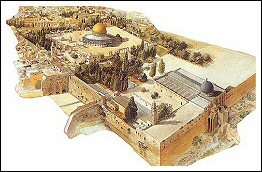 But the leaflet did fall on Gaza to leave while an oppressor caused you to turn blind for it even if you would read, you ears became selective, deaf and your heart seemed to be shut too. And your eyes when you turn your head on your cushion at night and pull up the blanket of ignorance some more people in Gaza sleep with an open window to prevent them get killed by implosion of a screen at the next bombing which comes unseen. Even without a leaflet. To sleep. And you wake up while this renewal of life in Gaza means I survived. Again. Until the next time the darkness of the city really turns into death again (15) like last week. When Israel slained 27 lives in targeted assassinations. A child while walking to his school. An old man sleeping. A young man who just married two days before. And while we ‘speak’ the wounded which survived still suffer in hospitals, with no power. In any imaginable way. Gaza, where 27 lives where taken in 4 days and the silence of media and condemnations of governments is even more devastating and killing than the ‘numbers’ might be. Your government did not miss the leaflet. Main stream media definitly did get the notice but prefers to be silent and distorting or just became blind following propaganda too. Because it seems to ‘sell’ better to recall about a terrorist cell from Gaza. And counting Qassam’s, whining with Israel together. So you will not notice all kept you ignorant by will so you keep paying your contribution to this murderous machine which does not lack power, their presses print through. No lack of ‘feeding’ to keep the expletives and their propaganda come to you for your sour earned salary provides tax which maintains that too. To take care your heart stays shut, your eyes kept closed, your ears stay deaf zionist propaganda pays student up to 92 dollar an hour to spend 5 hours a week to spread lies on social media – among many other ways to silence the truth – to take care you will keep a believer. (16) While it keeps Palestine even under a digital occupation, it shuts the voices of those who speak truth as well. ‘Israel’ reached it’s total moral bankruptcy when it got exposed spreading lies and now even tries to frame a human rights activist who happens to be working at United Nations’ OCHA (17) The same United Nations whose main mission is to ensure human rights. At least those of free speech. The right on information, to take care, the real leaflets reach you too. In Gaza though, the world achieved something it has never achieved before. Sustain an open air prison, now allowed it to evolve from a concentration into a genuine extermination camp. Even if you missed that ‘leaflet’ with certification it is written all over the skies. In all it’s attempts to silence and mute the voices of truth it only gets louder and one day, reaches you too. While the people in Gaza wait for your awakening and actions, they keep dragging the sacks with food which are brought in from your money too. Sacks. Not the only thing the United Nations did not change. Same sacks are brought in, like they were brought in 64 years ago. Men are still dragging the flour around which arrive in more fancy trucks, that is, if they are even allowed in. Sustaining the misery and annihilation. Determined by an entity, their own member who is neglecting every obligation. A transgressing occupier who put itself with worlds complicity and silence above any law. (19) But foremost every moral obligation out of humanitarian perspective. Because it has no humanity left at all. So I am sending you this leaflet for I hope some humanity is left in you. 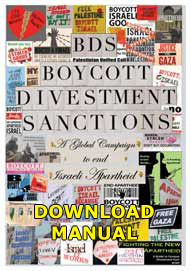 So next time when you hear a ‘rocket’ came from Gaza you will not say “I did not know” for Palestinians do not need the second “Wir haben es nicht gewusst” after an 64 long ongoing annihilation nor to live in devastation nor lives to be stolen, while silence goes on and you kept fed with the lies while no one even bothers to check the facts. Under your nose which never ceased it’s ability of distinction for truth. It’s an instinct which can not be killed. Like the instinct to survive which has to be rehearsed by Palestinians every second of their lives too. The masters of vigilance, excelling in patience, as small as they are forced to perseverance as they daily bury the ones, whose instincts were not even enough to survive and were exterminated, terminated. Just like that. And even when a message reaches you there came another rocket from Gaza (20) remember these facts above as well as those who are being vented while Gaza goes out for it’s daily burials of the martyred. While you get fed with “statistics” how many ‘missiles’ endangered the ‘Holy Land of Israel’ where 21 Israeli we’re killed in the past 10 years (21), while it slained 27 in the past week in less than 96 hours. If you ever lost a loved one you know you are mourning. Having a funeral and a day with your loved ones. Which are left behind to support you. Last week even one Palestinians was killed while attending such a funeral as well as a cemetery was pounded. No, not even the death are safe no more in Gaza. Not even respect for that which they already successfully silenced in extermination camp of Gaza. Even if you are not a lawyer of known with International Law and regulations, even Palestine has a right of self-defense. Whether zionism and it’s cohorts like this or not. It is an inalienable human right embedded in not only lawbooks and higher regulations but foremost in morality (22) Although it maybe does not break your head thinking about that basic right if you would endure what people in Gaza have to survive on an daily basis, you would resist too. In Gaza, Palestine, where the resistance called the Moqawama wakes up like you but never get a real ‘sleep’ nor rest. (23) No second to rest when targeted assassinations not only target the ones defending the land, but in the process to protect human lives and dignity of all, lives of the unarmed and innocent men, women and children are taken too. Young men and women with great potential and intelligence, able to contribute great achievements for a better world too, forced to resist for if you endure all above you would do that the same. And ‘Israel’ forgot the lessons of World War II. It only tries to excel in what has overcome them to use it for an ideological purpose for a Lebensraum never minding the cost of lives (not only in Palestine) but far beyond too. And while you missed the note, we watch and commemorate those who are no longer with us. Not knowing who will be not there anymore tomorrow. I remember, 17 year Shaheed Khames Habeeb. He was mentally ill. Went out for a little walk which ended in the morgue with over 10 bullets in his head and upper body. Slained in cold blood by snipers using rifles which can kill at a distance of over 3 km’s.. I remember, 2 year old Shaheed Islam Qre’qa who was minced into two pieces by illegal weaponry pounded on Gaza. On his birthday in the holy month of Ramadan.. I remember, all martyrs of Palestine which died in their struggle for life, not for death. For all those who struggled their fight, violent but most even not, whose lives were ended in extermination camp Gaza. And I pray, for my friends and the fighters for freedom. For I fear their names will be next. For me they are no numbers, no statistics but humans with more dignity, pride and power you would ever be able to encounter in your environment. And I ponder, to who would slained little Malek be married if he had received the chance grew up. And how is the wife of the 2 day wed Shaheed doing. How are the mothers today feeling in Gaza, while you mothers in the world get a ‘leaflet’ accompanied with flowers and chocolates and are showered with gifts, Gaza is showered too but by violence, ammunition, not celebrating but commemorating at funerals. The coffins are not wrapped. Everything lacks in Gaza except the coffins for the dead. And I want you ponder and to remember. About the resistance fighter who is trying to defend his land, his mother or his child. If not for the occupation he would be a teacher, a poet or a doctor. Maybe he would be a genius inventing your next cure for a deadly disease. But ‘Israel’ reduced his life to ‘testing material’ too. For the sales and the money which do not buy an eternity. Which no one has. But at least a right to live in dignity. In safety and protected against extermination in a camp like Gaza. My heart never rests and mourns the whole time. Not for the slained they finally met a peace which they never knew in this life. But for this world which is allowing these atrocities to go on. Amazed by the ignorance I behold of this world which keeps hibernating in other more important matters than 1.7 million human lives in Gaza. Or about the almost 12 million Palestinians worldwide suffering the occupation in many other ways I did not even mention. In unbelief I am, of the magnitude of unknown facts and the capacity to forget. Warsaw, Auschwitz, the Stalags, it was not so long ago. Commemorated every year now for since 1945. The lesson was supposed to be never again. In a time, where resistance were called heroes. But not if it’s 2012 and they are from Palestine. And because those who became that what they feared ones themselves will not fly over your house to drop your a note “to leave” this ignorance, I hereby drop you my leaflet in hope you will wake up and act, To at least break the silence and end the by this world achieved new status of Gaza: Your largest, ignored and silenced extermination camp where tomorrow death and pain will reign too if you don’t even try. This was my Leaflet for Gaza. (18) Summer Camps. When will the UN bring Human Rights to Palestine?